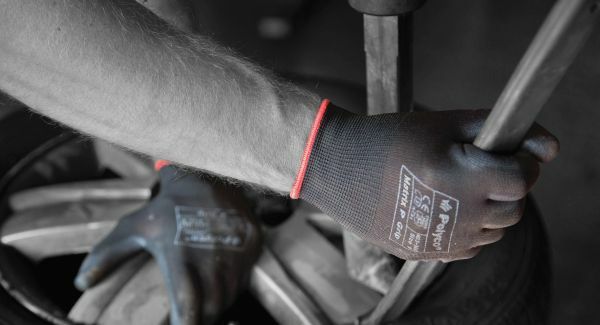 With high flexibility and sensitivity, impressive mechanical protection and a resistance to oil and water, the Polyco Matrix P Grip Black Safety Gloves 400-MAT excel in a wide range of medium-risk jobs that stretch from tactile and precision tasks to tougher and more mechanical work. What's most impressive is that they retain a certain level of mechanical protection while being so light, grippy and flexible, which helps to make these gloves some of the most versatile gloves around. 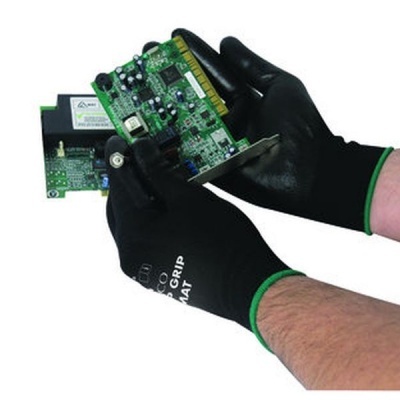 Applications: Where Can I Use the Polyco Grip Gloves? If your application isn't listed, then consider the gloves qualities. 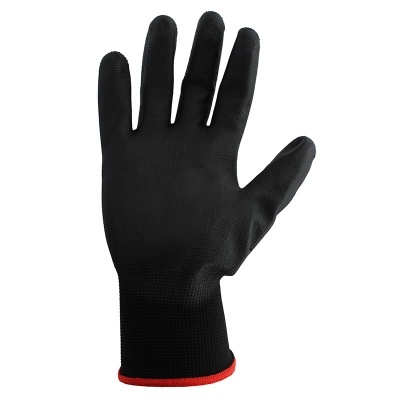 If you require a glove with high tactility and sensitivity, a bit of oil and water resistance, exceptional grip and decent mechanical protection, then these gloves won't go amiss. They are perfect for a range of conditions that range from precision tactile work to tougher mechanical work involving tools and machinery. Grip: How Much Grip Do the Polyco Matrix Gloves Offer? The Polyco Grip Gloves have grip in their name for a reason, with a tough polyurethane coating that is coarse enough to prevent slippery items being dropped. This high level of grip is retained when working with oil and water, meaning that even in the slipperiest of conditions your safety is retained. 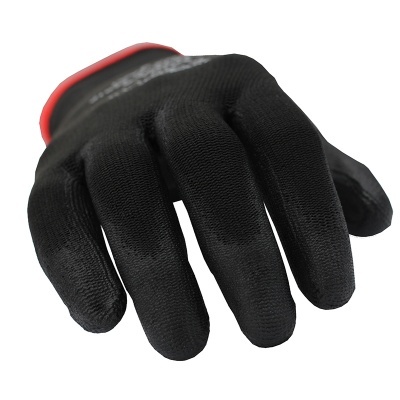 Strong grip and high dexterity make the gloves well suited to handling tools and equipment. Dexterity: Can I Use the Polyco Gloves for Precision Tasks? 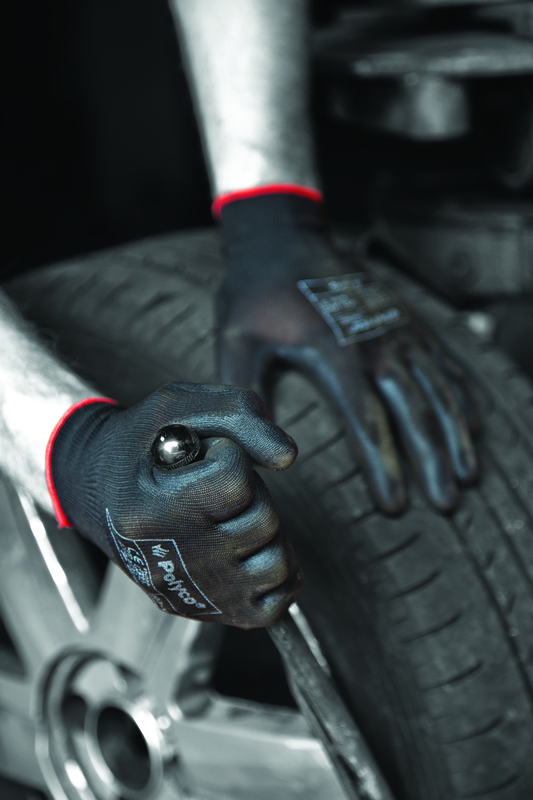 Another positive of the Matrix Grip Gloves is their exceptional dexterity. They are as light and nimble as a feather, able to bend and stretch with the movement of your hand. This is perfect for those tricky and tactile tasks that require total movement of your hand. They are extremely thin too, which helps to ensure that you will feel everything you are handling, gripping and holding. This combination of sensitivity and dexterity can help to boost productivity and accuracy in tasks that require attention to detail. Environments: Can I Use the Gloves in Wet and Oily Conditions? Yes, the Polyco Grip Gloves use a polyurethane coating that can channel oil, grease and water away from the hands, helping you to keep cleaner and drier than you would without the gloves. This is ideal for use in oily conditions such as engineering and mechanics where you may come into more contact with oil. It is recommended that between uses you clean off any oil, dirt and debris in order to preserve the longevity and overall quality of the gloves. For washing instructions please see the below tab. Protection: How Safe Are the Matrix P Grip Gloves? Most industrial environments come with a little risk, whether it be from rough materials, sharp edges or big machinery. The Polyco P Grip Gloves are designed for medium risk environments with extra protection against abrasion and tears. Their EN 388 (mechanical risks) score shows how much protection that they offer. Wrist Protection: Do The Matrix Gloves Protect My Wrists? They will protect your wrist because they use a flexible and stretchy knit wrist that can prevent dirt and oil from reaching your skin. This knit wrist also serves the purpose of enabling the material to fit tight and snug, helping to stop debris from entering the gloves and reaching your hands. Weight: How Lightweight Are the Matrix P Grip Black Gloves? When we say that the Matrix P Grip Gloves are as light as a feather we really aren't joking. In your hand they feel extremely light, which is perfect for extended use throughout the day as the chances of hand fatigue is reduced. What is perhaps most impressive is that despite their nimble and lightweight design, they retain a good level of mechanical protection, oil resistance and water resistance. Comfort: What Does the Lining Feel Like? They feature a knitted cotton interior that is extremely comfortable on the hand. As the gloves are so lightweight, sensitive and flexible, at times it can be easy to forget that the gloves are there. Not only does this help to prevent hand fatigue but it also ensures that you have total control when handling small materials and tools or working in higher risk and tactile environments. The fit is quite tight but this serves the purpose of allowing more flexibility in your hands. 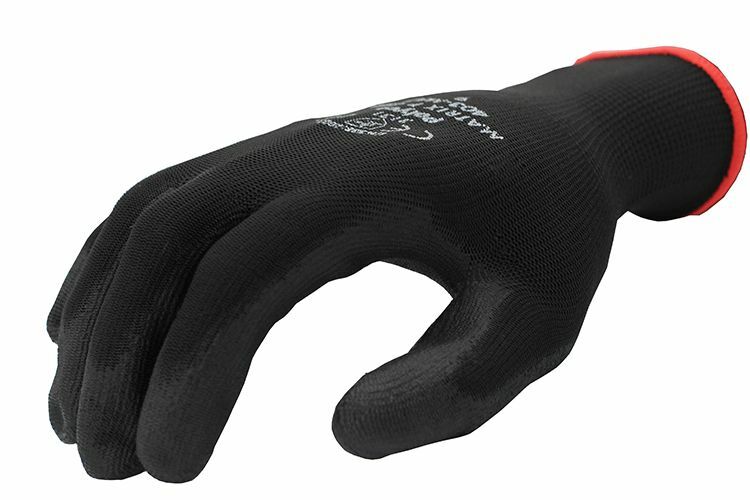 For those tasks that require freedom of movement these gloves really come into their own, especially as their coating protects you against mechanical risks too. This combination of protection and flexibility gives you a peace of mind at work. Materials: What Are the Matrix P Grip Gloves Made From? They are designed using high quality, long-lasting and durable materials. Their interior is a knitted liner that helps to ensure comfort during use, while their polyurethane palm is enough to offer a high level of grip and light oil and water resistance. The gloves are also latex free so that the chances of irritated skin are reduced. Durability: Am I Getting My Money's Worth? The Polyco Grip Gloves are designed using durable materials however we still recommend that you wash your gloves should they get oily. These gloves are some of our best selling gloves, and partly the reason why is the level of versatility they offer combined with their economical price. Washing: Can I Wash the P Grip Gloves? We recommend that if you do get your gloves dirty, oily or greasy that you wash your gloves in between uses. They are suitable for machine washing however we recommend that you don't tumble dry the gloves as this can damage the material. Please note that repeated machine washing may affect the overall performance of the gloves. Sizing: Which Size Should I Choose? 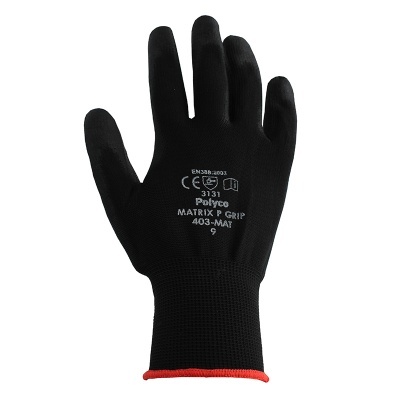 The Matrix P Grip Safety Gloves are available in five sizes so you should be able to find the size that suits you. To find out which gloves will fit you best, please measure the circumference of your hand around the knuckles (excluding the thumb) with your hand open and your fingers together. Next, measure the length of your hand from the tip of your middle finger to your wrist and refer to the table below. What Are the Product Codes?